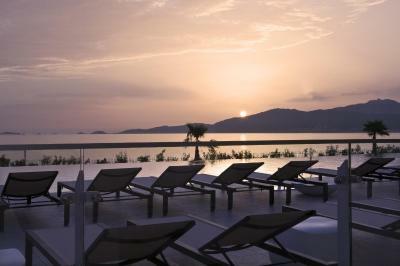 Lock in a great price for Radisson Blu Resort & Spa, Ajaccio Bay – rated 8.3 by recent guests! The only positive is that the view of the sunset was amazing. I recommend going there for drinks to see sunset but stay somewhere else. 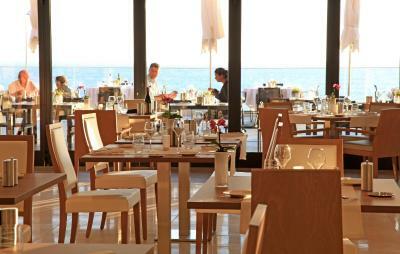 Great hotel in Agosta Plage, good facilities, but can be really crowded. Good breakfast as well. 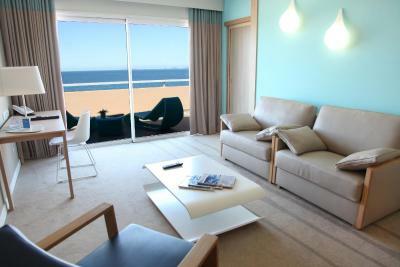 Nice rooms with cean views, but the beach is across the street, nice one too! 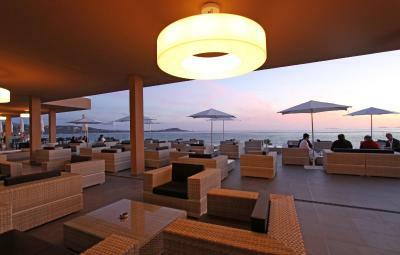 Great hotel by the sea, wonderful view on the sunset. Very good breakfast, with traditional cheeses and meat cuts. This is a big corporate hotel in a good location. It has everything you need but is a little impersonal. Family room with bunk beds excellent - roomy and with enough storage for a family of 4 which is often not the case. 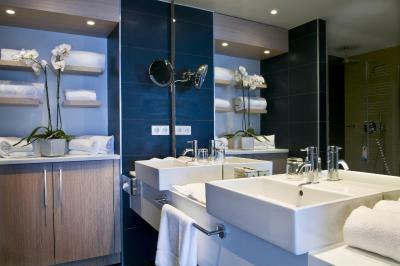 Great bathroom and toiletries. 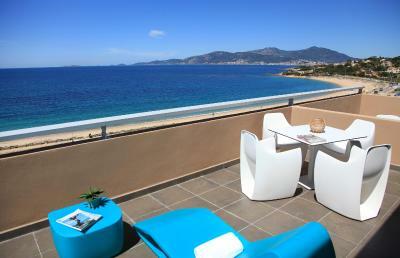 Really contemporary feel and great balcony and sea view. 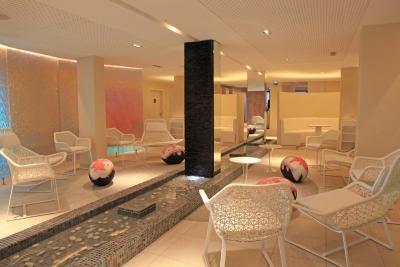 Pool area was lovely with plenty of sun beds. 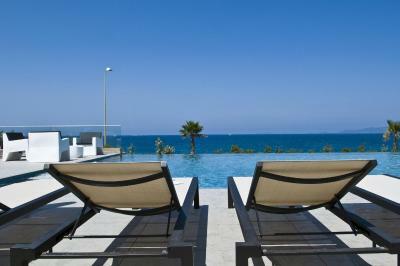 Nice pool, friendly staff, lovely local restaurants and a lovely quiet beach just across the road. 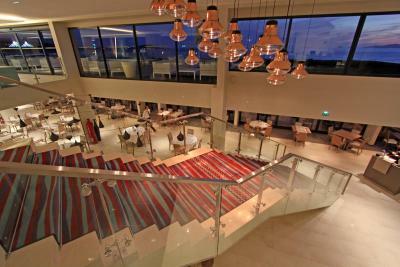 The location is very good and the sea view rooms have great views and are bright and comfortable and kept very clean. 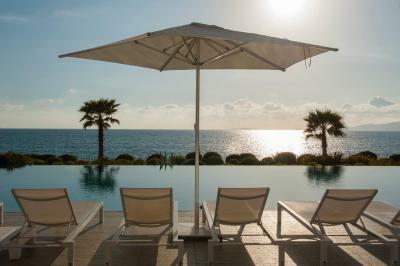 Amazing scenery and superb swimming pool location. But no 4 star hotel at all. One of our top picks in Porticcio.Just 300 feet from Agosta Beach, this hotel features a spa with hammam and hot tub, a terrace and grounds with a heated, outdoor pool with a poolside bar. 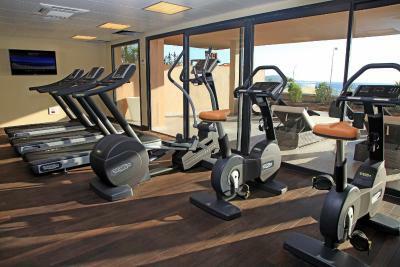 It has air-conditioned rooms and car rental. 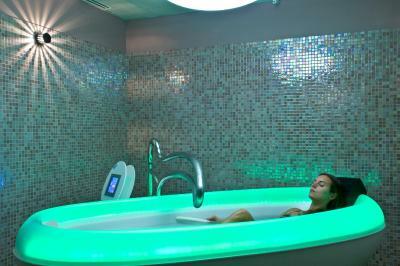 Free Wi-Fi is available in each room with a bathroom. 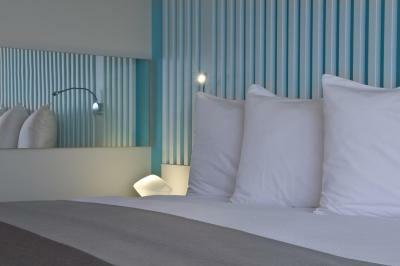 All rooms feature extras long beds, a balcony and ironing facilities. 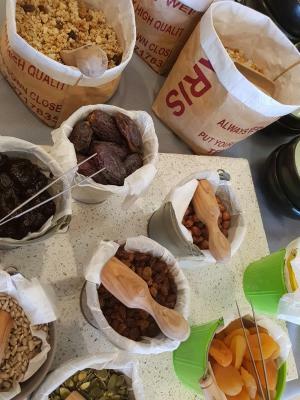 Breakfast is provided in the form of a buffet each morning. 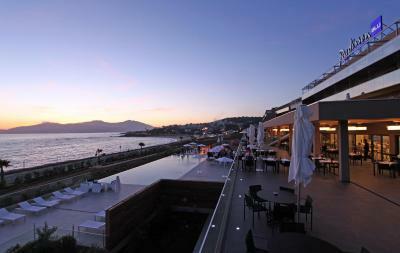 For other meals guests can sample regional food in the restaurant while enjoying views of Ajaccio Bay. 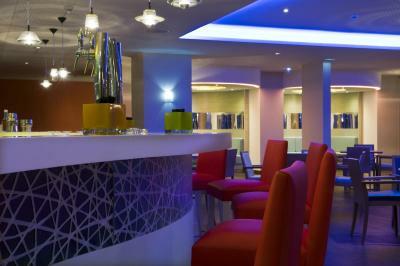 Afterwards guests can relax in the hotel bar. 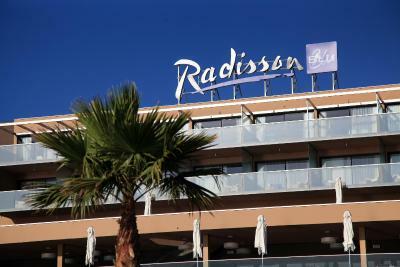 Located 3 miles from Porticcio and its beach, the Radisson Blu Resort & Spa is 12 miles from Ajaccio town center. 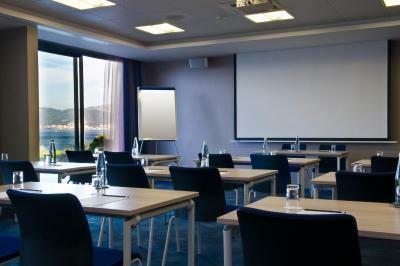 Services include a laundry, business center and organization of excursions. 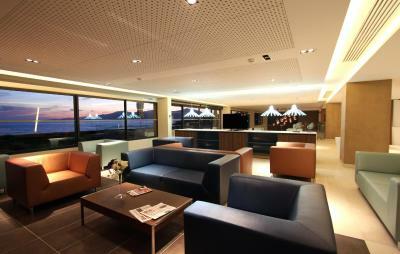 When would you like to stay at Radisson Blu Resort & Spa, Ajaccio Bay? 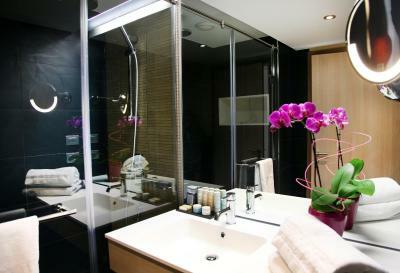 With a balcony, this air-conditioned room has a flat-screen TV and a private bathroom with a shower and free toiletries. 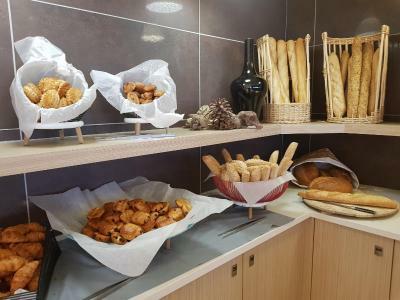 With a balcony and views of Corsican maquis, this air-conditioned room offers a flat-screen TV and a private bathroom with a shower and free toiletries. 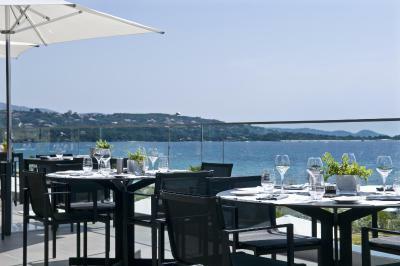 With views of the Ajaccio Bay, this air-conditioned room has a flat-screen TV and a private bathroom with a shower and free toiletries. 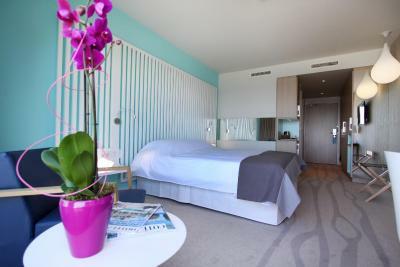 With a balcony and views of Ajaccio Bay, this air-conditioned room offers a flat-screen TV and a private bathroom with a shower and free toiletries. 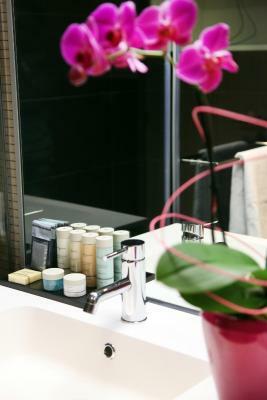 This air-conditioned room with balcony features interconnecting rooms, a private bathroom with free toiletries, a hairdryer and shower and a flat-screen TV with satellite channels. 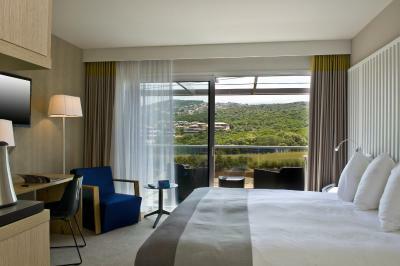 On the top floor of the hotel, this spacious suite features a private terrace with views of Ajaccio Bay. 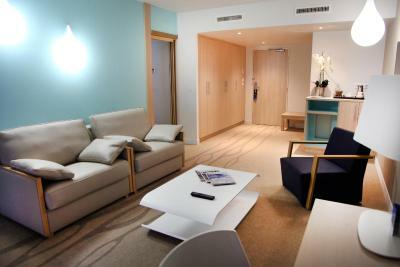 The suite has a living room area with a sofa bed for additional sleeping space and a separate bedroom. 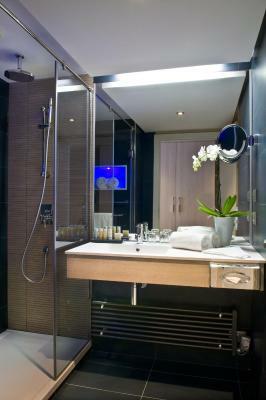 The private bathroom has free toiletries, a hairdryer and shower and a flat-screen TV with satellite channels is also included. 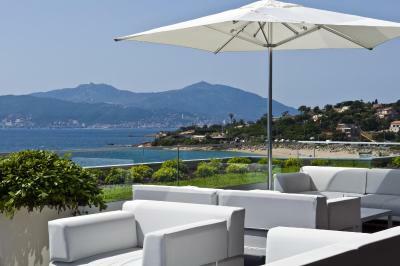 House Rules Radisson Blu Resort & Spa, Ajaccio Bay takes special requests – add in the next step! 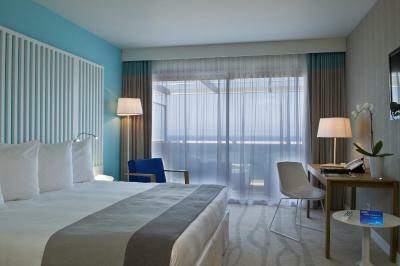 One child from 2 to 12 years is charged EUR 40 per person per night in an extra bed. 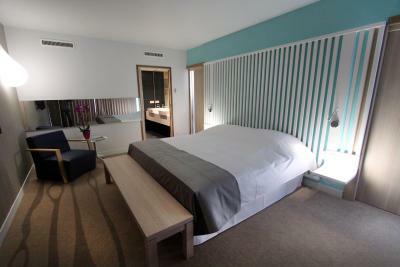 One child from 13 to 17 years is charged EUR 50 per person per night in an extra bed. 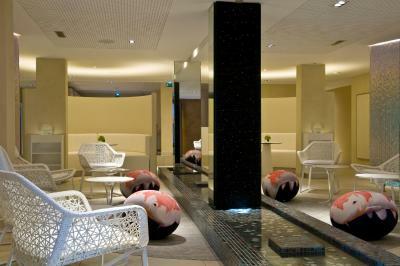 Radisson Blu Resort &amp; Spa, Ajaccio Bay accepts these cards and reserves the right to temporarily hold an amount prior to arrival. 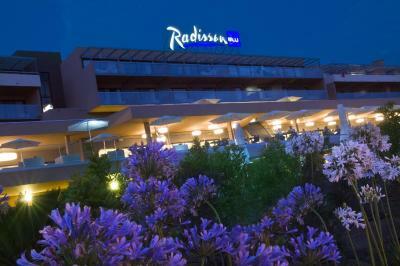 Radisson Blu Resort & Spa, Ajaccio Bay accepts these cards and reserves the right to temporarily hold an amount prior to arrival. Sunday: 09:00 to 13:00 and 14:00 to 18:00. 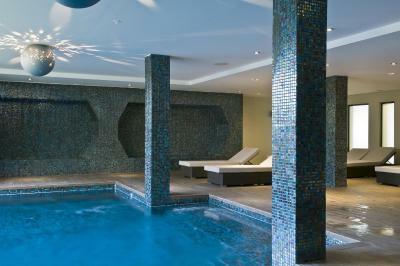 In July and August, the spa is open until 20:00. Property is like any usual chain hotel, not much character. 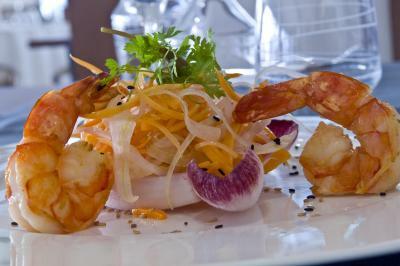 The restaurant’s à la carte menu is expensive and not good value for money. View to the sea was beautiful. Rooms are decent size, parking was excellent. Breakfast was pretty good. Pool is nice and clean. The young staff at the restaurant kept forgetting our requests, but they seemed to be in training. 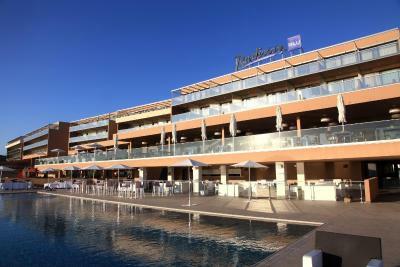 This hotel is not in a Ajaccio proper and this is the town used when searching on booking.com. 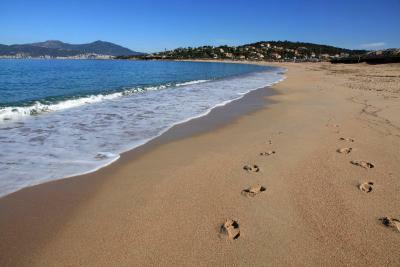 This was very frustrating because we were unable to visit the town of Ajaccio on our trip because of this. Also, no one at the hotel spoke any English. This was frustrating being this is an international chain. I could not even get an iron sent to my room and I looked up the word on French. Breakfast was not at the Radisson level. Lack of service. Insufficient support. Low quality of food. 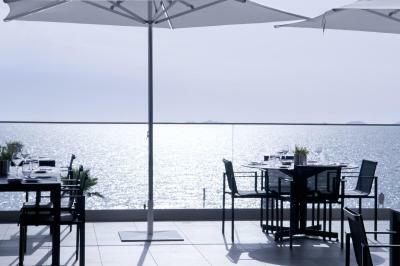 The terrace, the view, the rooms. Location wasn’t as close to amenities as I had thought, and the beach opposite had no facilities and could be quite dangerous when sea was rough. Not a huge issue, but would have been nice to know that before hand. Food in the restaurant and pool bar not great for a 4 star hotel. cleanliness of the room was desastrous for such a price in summer, it's a shame. 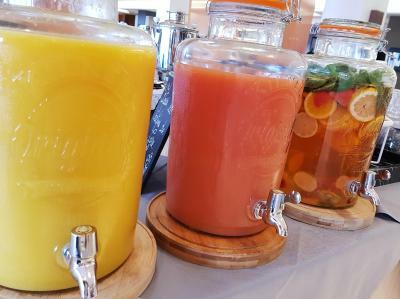 staff at the reception should say hello first to the guest and not vice versa, we spent another week in another area, cheaper and a lot better !! Expensive laundry service and a very discoloured white top! Very expensive to get around as you are dependent upon taxis that are twice London prices. The buffet breakfast is OK pretty standard but lower end of the scale and a scramble as it get's very busy. 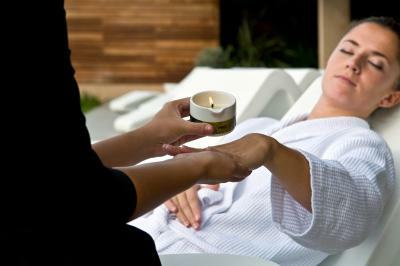 The staff are with exceptions generally unhelpful and in some cases rude. They certainly didn't make you feel like they valued you custom. We didn't try the evening bufet(3 evenings) but tried the A LA Carte which was a very limited menu which was the same throughout and was expensive. Better fair can be had in local restaurants. The Fire Alarm went off whereby many guests duly vacated the hotel, but no staff or fire marshalls were anywhere in evidence and the reception staff carried on as if nothing was happening. Eventually as clearly a false alarm the guests went back to bed but no explanation ever given! Clearly they don't value their guests safety either!